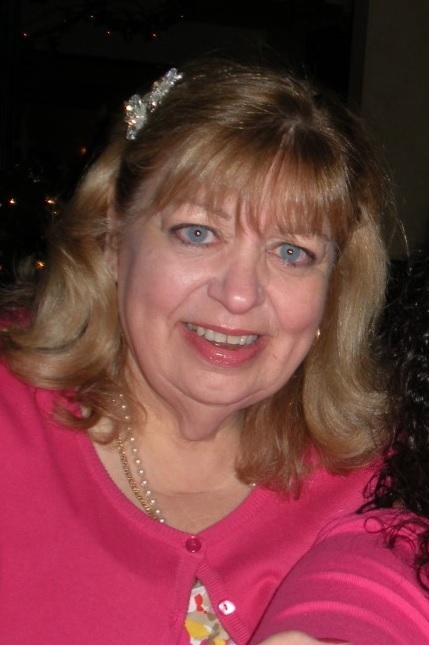 Michele A. Scanlin, 68, of Canton, formerly of Watertown, passed away at her home on November 25, 2018. Michele was born on January 2, 1950, in Watertown, daughter of Alphonse V. and Marie (Mangini) Renzi. She graduated from Watertown High School in 1967, attended SUNY Oswego and received her BA from Empire State College. On June 25, 1971, she married Mark Scanlin at St. Patrick’s Church with Reverend William Muench officiating. The couple moved to Canton in 1975. Michele began working at New York Telephone Company as an operator and retired as a Control Center Manager from Verizon, in 2002. Currently, she and her daughter, Erin Alguire, co-own and operate Sposa Bella Dress Shop in Canton. Michele was a dedicated member of the Canton Potsdam Hospital Guild and a member of the VFW Post # 1231 Auxiliary in Canton. Michele was known for her seamstress abilities making many brides dreams come true. She enjoyed knitting, stained glass, gardening and especially doing crafts and baking with her granddaughter. Michele was also known to be an excellent cook and enjoyed feeding a crowd whether family, friends or stranger, ensuring no one ever walked away hungry. Surviving besides her husband are, two daughters, Alexa N. Scanlin, Cicero, Erin S. (Brent) Alguire, Canton, two sisters, Attorney Renee Renzi, Wellesley Island, Lisa J. Renzi, Watertown, two nephews, Alphonse V. Renzi and Kristopher Dunaway, a niece Traci Scanlin and a granddaughter Gianna Alguire. Calling hours will be both at O’Leary Funeral Service, 5821 US Highway 11, Canton, NY, Saturday from 2-5pm, and at D.L. Calarco Funeral Home, Inc., 135 Keyes Ave., Watertown, NY on Sunday from 2-5 pm . A prayer service will be held Monday at 9:15 am at the D.L. Calarco Funeral Home, Inc. with a funeral mass at 10 am at St. Patrick’s Church. Burial will be at the convenience of the family. Contributions may be made to Canton Potsdam Hospital Guild, 50 LeRoy Street, Potsdam, NY 13676. Online condolences may be made to www.dlcalarco.com or www.olearyfuneralservice.com.